Seeing extra pounds on the scale can be quite frustrating and having to deal with a tight waistband that used to fit is understandable. However, the fact is that some things can hold clues to whatever is making you gain weight. Bruce Krahn mentioned in his guide, Lean Belly Breakthrough that these things could include hormonal imbalance, prescription meds and vitamin deficiencies among others. As humans, we make choices and some of them are what we think are just lifestyle choices, but the fact is they are not really our choices but our body’s reaction to any factors that can’t be controlled. According to Robert J. Hedaya, MD, a professor at Georgetown University Medical Center, whatever it is; a medication side effect, hormonal imbalance or something else, we just happen to put the onus on the person most times, forgetting that there are factors that often need a doctor’s help. To help you get rid of frustrations that come with stubborn belly fat and reduce your time at the best fitness centres around you, here are some health issues that might be standing between you and your ideal weight—and how to fix them. There are some anti-depressant medications that cause patients to gain weight. So, if you are taking any of those pills because you are depressed, look forward to adding some extra pounds of about 5-15 pounds, which can result from the gradual accumulation for many years. And if you are not taking medications for depression, there are still some proofs that the feeling of depression correlates with fat gain. 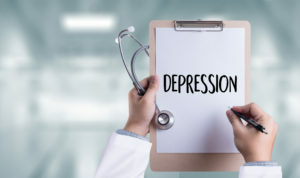 A study reported in the American Journal of Public Health in 2010 discovered that people who feel lonely and sad can gain weight more rapidly than the ones who report fewer symptoms of depression. According to an assistant professor at UAB’s department of sociology, Belinda Needham, PhD, they may be eating high calorie, high fat comfort foods. It could also be that they have cut back on their exercises. Dominique Fradin-Read, MD, at Loma Linda School of Medicine in California mentioned that he slowly weans his patients off any anti-depressants if he discovered that the pills could be the reason they are gaining more weight. He mentioned that he just put them on Wellbutrin in place of the drugs and it actually helps them to lose weight. If your medications are the culprit, you should just seek out exercise buddies instead or opt for a support group. You can work out with some friends or start attending meetings such as Weight Watchers. Doing this is a great way to increase social support, which can help depression. Apart from anti-depressants, there are whole lots of medications that can result in weight gain. If you are taking too much hormones for hormone therapy, beta-blockers for heart disease, steroids, birth control pills, excess hormones for hormone therapy, anti-seizure meds, heartburn and migraine medications, some rheumatoid arthritis treatment and some breast cancer medications like Tamoxifen, you may discover some pounds creeping on. Steven D. Wittlin, MD at the University of Rochester Medical Center , NY, mentioned that whenever he sees his patients struggling with excess body fat, he started by looking at their medications. According to him, these medications can have effects on patients’ appetite or metabolism. Other medications can just make them feel better and help them regain their lost appetite. If you think the fat piling up around your waistline is caused by your medications, then you might want to involve your doctor in this. He or she may be able to get an alternative treatment for you, which won’t bother you with the same side effect. Another factor that can cause excess pounds in your body is digestive issues, which include slow bowel movements. The normal thing is for you to eat and they have some bowel movements one or two hours later. However, once or twice is still good, but if you aren’t regular, then you can blame medications, dehydration, low fiber. Also, the absence of good flora in your gut might be another culprit. 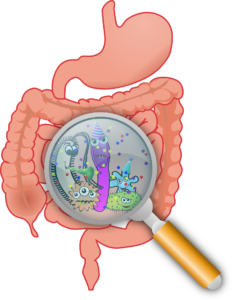 If the only symptom you have is constipation, then try probiotics. They can help make your digestive tract work properly. It is important that you stay hydrated. So, is a diet that is highly rich in fiber. Another way to do this is by mixing fiber powder with water and drinking it. This can help you clean your intestinal tracts and grab fat globules as it scrubs out waste. You can check with your doctor if you are still having trouble. He or she might help you rule out some disorders such as neurological or hypothyroidism issue. 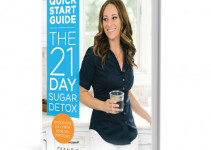 The 21 Days Sugar Detox Review-Will Diane’s Program Work For Me?